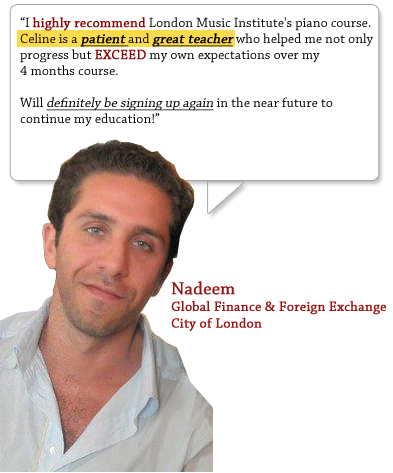 All the reviews on this page are from current students or students who have taken lessons in the past two years. None of the reviews were “dressed up”, the words on the piano reviews are the exact words of our students. 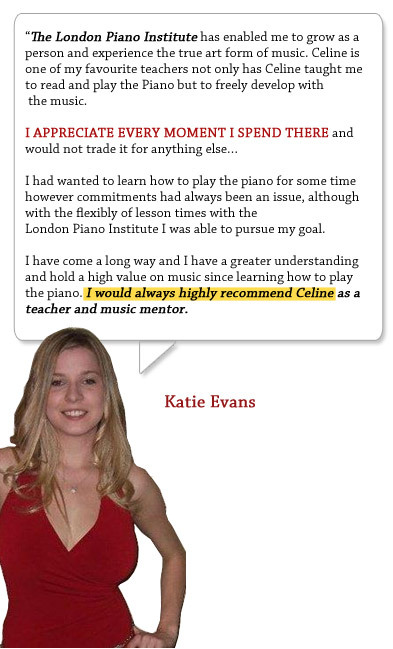 Discover our top-class reviews from students Of the London Piano Institute. 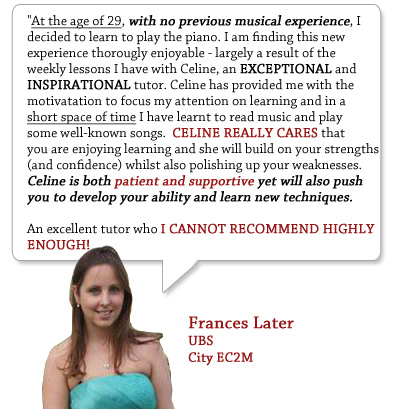 At the London Piano Institute you can be assured of the highest quality piano lessons in London and the UK. 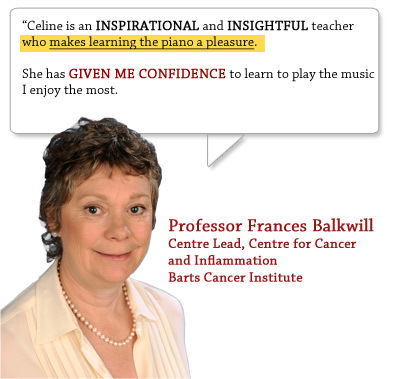 That’s why the London Piano Institute reviews are so positive. You can always book your introductory piano lesson with us and discover the quality of our piano tuition for yourself. 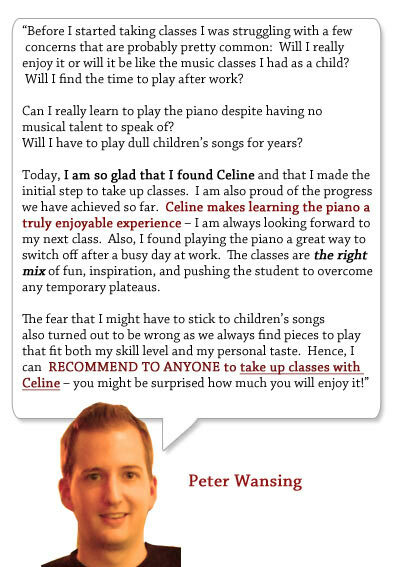 “When I decided to study piano at the London Piano Institute I had no idea what to expect. As a beginner I didn’t know if I would be able to play the piano. My attitude changed the very first day at the Institute. 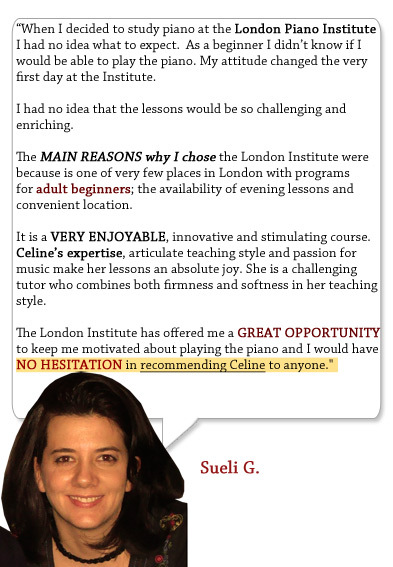 I had no idea that the lessons would be so challenging and enriching.The main reasons why I chose the London Institute were because is one of very few places in London with programs for adult beginners; the availability of evening lessons and convenient location. It is a very enjoyable, innovative and stimulating course. 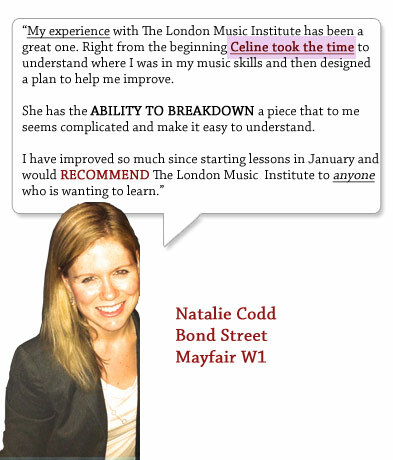 Celine’s expertise, articulate teaching style and passion for music make her lessons an absolute joy. She is a challenging tutor who combines both firmness and softness in her teaching style.